Their dedication, perseverance and hours of work outside of school paid off. 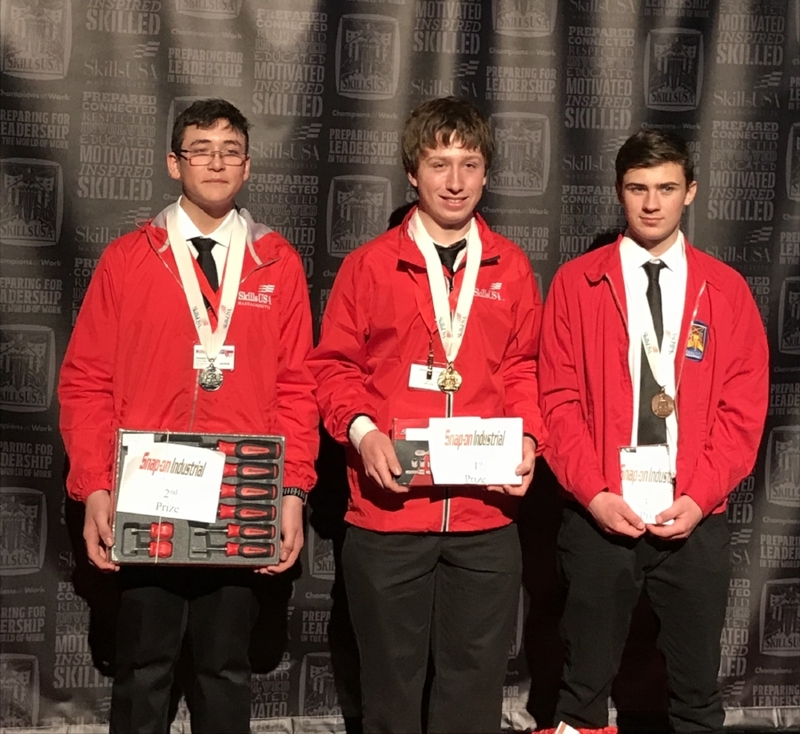 Whittier students showed their vocational-technical prowess and career savvy in the statewide SkillsUSA competition last weekend and came home with 14 gold, six silver and six bronze medals. 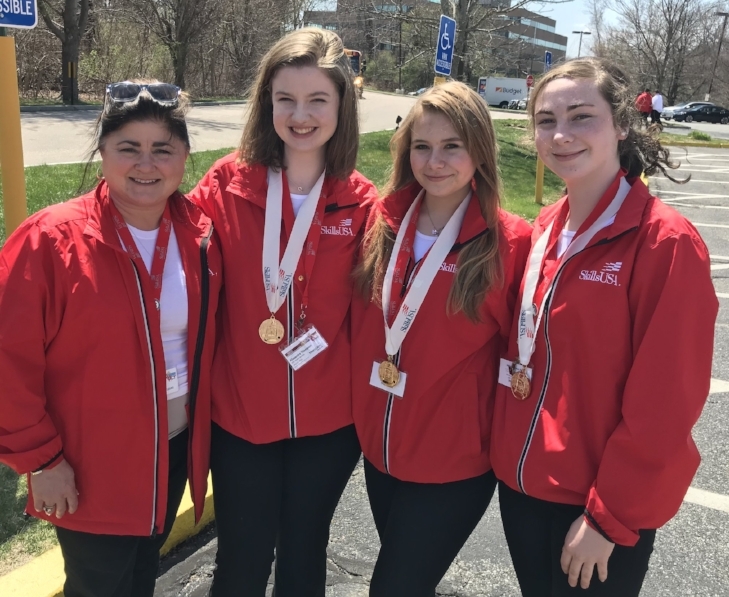 The gold medalists will advance to the national competition June 25-3- in Louisville, KY.
Also, for the first time in Whittier's history, a student has been elected as a state officer. Lauren Fitzgerald, a sophomore studying Health Occupations, earned a spot on the SkillsUSA 2018-19 State Executive Council. She will be notified of her title next year. 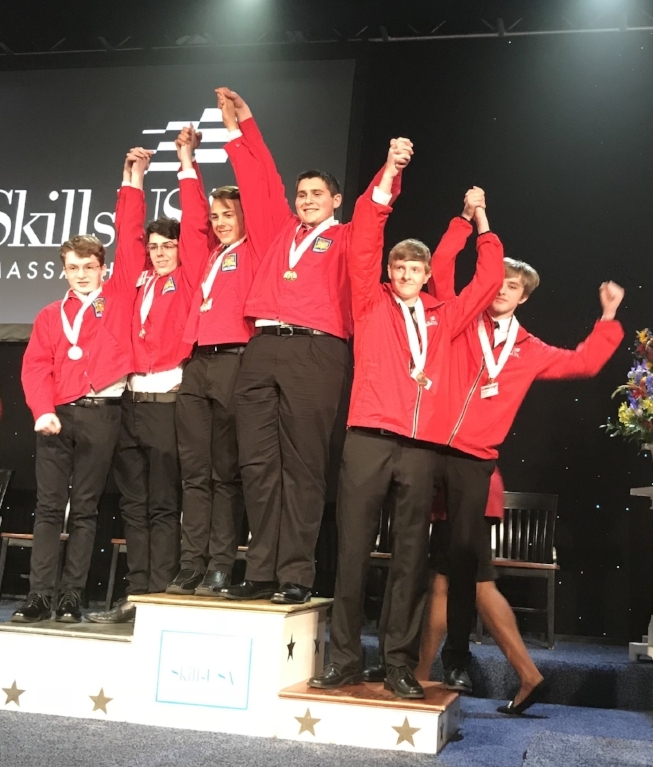 "I don't know if it can get any better than this," said Whittier's SkillsUSA Co-Advisor Jane Moskevitz. "This is what Whittier is really all about. Our students shined and it was just awesome. They've all been working diligently since last year at this. My hope is that this level of success inspires more underclassmen to get involved." Ninety-two Whittier students attended the three-day event with 3,000 participants, the largest educational gathering in the state, hosted at the Best Western Trade Center in Marlborough. After completing presentations, students were grilled by judges and confidently answered questions about their vocational-technical skills and the impact their careers would have on their communities. "It was truly a testimony to how hard really pays off," said Ms. Moskevitz. "I am grateful to the many staff who helped prepare our students, and my co-advisor Bruce Boisselle." The medalists will be celebrated at Whittier's annual Advisory Board Dinner on Thursday night when more than 200 industry and business leaders gather with vocational-technical teachers. Among the winners were Health Occupations students who created a "Music & Memory" program to benefit dementia patients at area nursing homes, CAD students who designed Whittier's new Allied Health Center and Culinary Arts students who created "The Energizer" food truck which will be added to the program in the future.